LightRider Beta Biothane reins match the Beta Biothane bridles in 5/8" biothane They are softer than leather and easy to clean by wiping with a damp cloth. High Quality Bet-Biothane reins won't rot or absorb odours, and they won't crack and split. Ideal investment for trekking centres due to their durability, softness and ease of care. 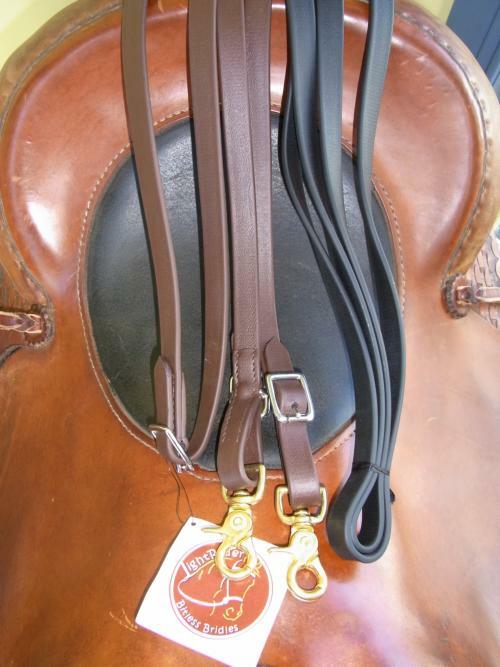 Once you feel these, you won't use leather again! 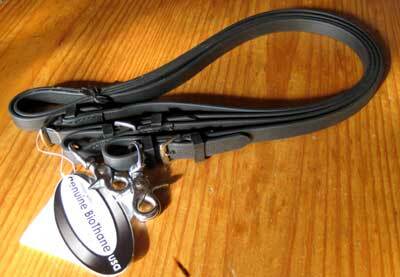 Available in Black and Dark Brown with stainless steel or brass rein clips.